Blurb: 1418, Wales: Hunter Conroy, the youngest in a family of powerful demon slayers, is captured by the evil warlock Osian. Young Hunter is given a choice: join forces with his enemy and kill his own family, or be cursed to live through the ages as a stone gargoyle. Once a century, Hunter is released from his prison, and tempted with the chance to build a life for himself. At the end of a decade of freedom, if Hunter does not choose to become one of Osian’s minions, he is again remanded to the cold, lonely rock. Fast forward six hundred years, and Hunter finds himself in Salem, Massachusetts. He has forged a quiet life, knowing that at the end of this latest cycle, Osian will once again return, and Hunter will decline his offer. He is content to live out the last few months of this round alone, until he meets Walker Harmon. ER Doctor Walker Harmon had expected to be married with children by now, but so far has been unable to find the man of his dreams. Hunter Conroy sparks his interest until he sees the handsome tow truck driver throw a man across the room without even touching him. When Hunter reveals the source of his powers, telling Walker that his days in Salem are numbered, it’s a story beyond belief. Realizing he’s in love with this cursed man, Walker is willing to risk everything to fight for Hunter. 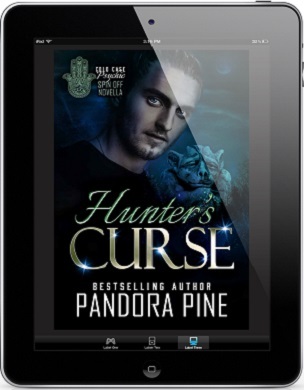 With time running out, Hunter amasses a dream team of witches, psychics, and a mysterious wizard to help him break the warlock’s curse. Will their combined powers be enough to free Hunter, or will the gargoyle reclaim him for another century? Review: I loved this story of Hunter and Walker. 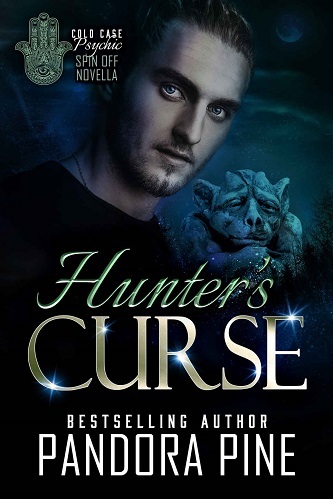 Hunter is forced to become a gargoyle after declining to help an evil warlock Osian. Once a century Hunter is free for ten years. Now six hundred years later Hunter finds himself in Salem. He makes quite a few friends with a variety of paranormals. Upon meeting Walker Hunter finds himself hoping. This was an amazing story. I loved all the characters, the history and the plans. It’s my favorite in the series so far. The crew from Cold Case Psychic was an added bonus. My heart went out to Hunter for all the things he missed out on while trapped. Posted on April 10, 2019 April 10, 2019 by ShortyPosted in Book Review, MM Book Review, MM Book Review, MM Romance Book Review, Reviews, Self PublishedTagged Cold Case Psychic series, Cold Case Psychic Spin Off, Gay Contemporary Romance, Gay Other Paranormal Romance, Gay Psychic, Gay Self Published, GLBT Contemporary Romance, GLBT Other Paranormal Romance, GLBT Psychic, GLBT Self Published, Pandora Pine, Shorty's Reviews.